I'd like to say there are some great NBA matchups opposite the NCAA Tournament's two Elite Eight games on Saturday. I'd like to tell you that. But there's only one game between teams both in the playoffs right now, and I have a feeling the visitor in that one is going to be less than full strength. Probably the biggest story line of the night is that Portland faces Denver for the first time since acquiring Arron Afflalo from the Nuggets for a bunch of garbage and a protected 2016 first-round pick at the trade deadline. Here's a look at each matchup. Atlanta hosted Miami on Friday while Charlotte was in Washington. I am willing to bet anything that Hawks coach Mike Budenholzer rests a guy or two or three here. They have squat to play for at this point -- the top seed could be clinched by the time they take the court -- and Budenholzer already has said resting guys is his plan down the stretch. Being as this is road games 24 hours after a home game, it's screaming DNP-CD for guys like Al Horford, Kyle Korver, Jeff Teague (he sat Friday) and/or Paul Millsap. Charlotte doesn't have that luxury as the Hornets are battling for the eighth and final playoff spot with the Hornets No. 11 entering Friday but just a half game behind No. 8 Boston. So this could be a first-round preview. Charlotte beat visiting Atlanta very early in the season in overtime, but the Hawks destroyed the visiting Hornets 105-75 on Nov. 29 in the most recent meeting. Key trends: The Hawks are 6-1 against the spread in their past seven trips to Charlotte. The "over/under" has gone over in six of those seven. Early lean: Wait on the Hawks guys, but I expect Charlotte to win this game. New York hosted Boston on Friday night. Maybe the Knicks will rest guys here in the back-to-back. I of course am kidding. Who is even deserving of rest on that team? Thanks to a 116-103 win in Toronto on Wednesday and the four-game series sweep of the Raptors, the Bulls are in control for the third seed in the Eastern Conference. Jimmy Butler looked back to 100 percent in his second game back from an elbow injury against the Raptors with 23 points and five rebounds. Chicago actually didn't play well at all until the fourth quarter when it outscored the Raptors 39-21. Center Joakim Noah returned after sitting out Monday's win over Charlotte with general soreness and had nine points, five rebounds and five assists in 28 minutes. I could see him sitting here because the Bulls can beat the Knicks without him and then don't play again until Wednesday so it's like a free week off. The Knicks are 0-2 vs. the Bulls this season. Key trends: The Bulls have covered five straight at home against teams with a losing road record. The over has hit in the past four meetings. Early lean: Bulls don't really crush teams. Take the points and definitely under. Golden State was in Memphis on Friday. The Warriors are in the exact same boat as the Hawks as they have nothing to play for at this point. I am nearly positive that Coach Steve Kerr will give a few guys the night off here, especially off a likely physical game against Memphis. Klay Thompson is one sure candidate as he is still dealing with some ankle soreness. The Bucks won a second straight Wednesday, 111-107 over visiting Indiana behind a career-high 34 points from Ersan Ilyasova on 12-for-14 shooting. Forward Jared Dudley, who missed three games because of back spasms, returned Thursday. Milwaukee lost 102-93 in Golden State on March 3. The Warriors led by just one entering the fourth but then Steph Curry got hot. The Warriors went small for the entire fourth quarter, with the 6-foot-7 Draymond Green playing center. Key trends: The Warriors have covered their past four in the second of a back-to-back. The Bucks are 1-4 ATS in their past five against teams with a winning record. The under is 9-0 in Milwaukee's past nine on Saturday. Early lean: Kerr was set to play all his key guys Friday. Jump big on the Bucks (and under) right now if you can for this one. 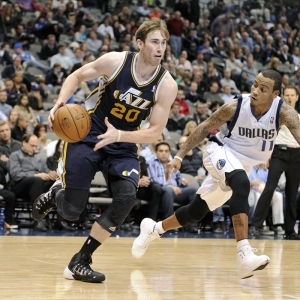 Utah was in Denver on Friday with Gordon Hayward probable to return from injury but rookie Rodney Hood not. I expect a pretty strong effort here from Oklahoma City after it was embarrassed 130-91 in San Antonio on Wednesday to snap the Thunder's four-game winning streak. The Spurs sent waves of defenders at Russell Westbrook and he was just 5-for-16 from the field for 16 points. Coach Scott Brooks sat him midway through the third quarter for good with the game out of hand. The Spurs scored 71 points in the first half, the most the Thunder have allowed in any half. Thunder center Steven Adams injured his right elbow in the third quarter and didn't return. The last thing that OKC needs is another injury, but it could be nothing as the team obviously didn't need Adams in there after that. Oklahoma City leads the season series 2-1, winning both at home. The Thunder have lost two straight in Salt Lake City. Key trends: OKC is 1-5 ATS in its past six in Utah. The over is 9-0 in the Thunder's past nine on the road. Early lean: Utah is much improved, but I love the Thunder here. Denver hosted Utah on Friday while Portland was in Phoenix. The Blazers weren't sure if starting forward Nicolas Batum was going to return from injury for that one. Portland won't be resting anyone because it's still hoping to perhaps climb to the No. 3 seed, although I think staying put at No. 4 is most likely (division winners can't fall lower than fourth). As noted above, this will be the first time Afflalo faces his former teammates. Good thing the Blazers made that trade in the wake of Wesley Matthews' season-ending injury. Portland won three early-season meetings against Denver and has won seven straight overall in the series. The Blazers had a season-high 130 points in a 17-point win at Denver on Nov. 12. Key trends: Denver has covered three of the past 11 meetings. The over is 7-1 in Portland's past eight (entering Friday). Early lean: Portland will win this comfortably, Batum or not. He was likely to return Friday.